Dr. Krantz is a native of Houston. He graduated from Bellaire High School and received his B.A. degree in psychology from The University of Texas at Austin. 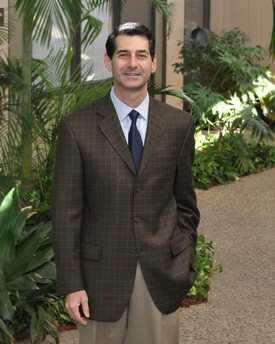 After graduating second in his class from The University of Texas Health Science Center, Dental Branch in 1994, he completed a residency in General Practice at Hermann Hospital and The Institute for Rehabilitation and Research; treating patients at BenTaub, Hermann and LBJ Hospitals as well as TIRR. Following his residency, he joined Dr. Horwitz and Dr. Epstein in private practice in 1995. Dr. Krantz has received numerous honors and awards, which include induction into Omicron Kappa Upsilon, the honorary dental society, the American College of Prosthodontists Award for Clinical Excellence and Ethical Awareness. He has been recognized with other awards for outstanding achievements in science and the art of dental anatomy and occlusion, high achievements in oral and maxillofacial radiology, high achievement in operative dentistry and proficiency in direct gold restoration, and numerous academic honors. He is listed in Who's Who among students in American Universities and Colleges in recognition of outstanding merit and accomplishment as a student at The University of Texas Health Science Center. Dr. Krantz is a member of The American Dental Association, the Texas Dental Association, and The Greater Houston Dental Society. Dr. Krantz lives in Houston with his wife, Missy. They have two children, Ben who attends Colorado School of Mines and Sydney who attends Carnegie Mellon University. He is a craftsman who enjoys working with his hands, not only at the office but also working at home with metal and wood to make jewelry and art. In his free time, he enjoys travel, photography, projects around the house, exercising and spending time with his family and his dogs, Brandy and Lacey.